Oceans 3 Beyond Omega 3 with Omega-Xanthin— EPA and DHA from ultra-pure, high-potency fish oil plus amplified benefits from astaxanthin and fucoxanthin to support overall health. Oceans 3™ is the only fish oil brand made with OmegaXanthin®, a unique synergistic blend of molecularly distilled fish oil rich in EPA and DHA, combined with two ocean-based antioxidants: 4mg astaxanthin and 30mg concentrated fucoxanthin. 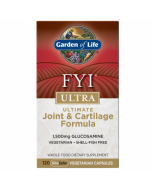 Three softgels daily deliver an impressive 1.3 grams of omega-3s, including 675mg of EPA and 450mg of DHA for an amplified range of benefits including Cardiovascular, Brain and Immune Support. 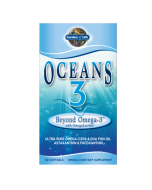 Oceans 3™ Beyond Omega-3™ is an omega-3 supplement available with Omega-Xanthin®, a synergistic blend of three health-promoting compounds from the ocean: ultra-pure, high-potency fish oil rich in super concentrated EPA (675mg per day) and super concentrated DHA (450 per day) with 1,275mg of omega-3s per daily serving. Additionally Oceans 3™ Beyond Omega-3™ has astaxanthin, an extremely powerful antioxidant carotenoid from sea algae and fucoxanthin, a dynamic antioxidant from brown seaweed. Oceans 3™ Beyond Omega-3™ provides all the benefits of a high-potency omega-3 supplement plus amplified targeted benefits unmatched by ordinary omega-3 formulations. With a fresh, clean taste and no fish taste or aftertaste, Oceans 3™ formulas utilize a proprietary, multi-state molecular distillation process to produce pharmaceutical-grade fish oil that sets the industry standard for purity and concentration. Free Of Dairy and gluten, fillers, artificial colors, preservatives. 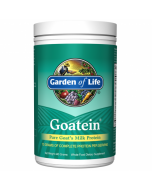 Other Ingredients: Gelatin (bovine), vegetable gycerin, purified deep sea fish oil (anchovies, sardines and mackerel with natural mixed tocopherols), beeswax, beta-carotene, natural strawberry flavor, silicon dioxide, non-GMO soy lecithin. 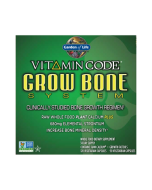 As with any dietary supplement, consult your healthcare practitioner before using this product, especially if you are pregnant, nursing, allergic to iodine, use blood thinners, anticipate surgery, or are under medical supervision. Small objects like pills can become inadvertently lodged in the throat. 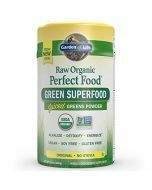 Softgels may be pierced and contents can be mixed with water, juice or food.